You are now part of our project and for that we´ll mention you on our website! At Up! we are so excited to receive your support, that we´ll send you a thank you card and we´ll mention you on our website! Spice up your food! - Gastronomic salt with BBQ spices, made by the workers of Cooperative TEB, who work with people with learning disabilities. And of course we´ll mention you on our website! Sweeten your day! Delicious chocolate cake mix in a bottle, made by the workers of Cooperative TEB, who work with people with learning disabilities. And of course we´ll mention you on our website! Because some stories are worth sharing, especially with the little ones of the house, we offer the book ´El Jardin Subterráneo´ by Cho Sunkyung, in Spanish. A beautiful story about how to improve the world around us. And of course, we´ll mention you on our website! 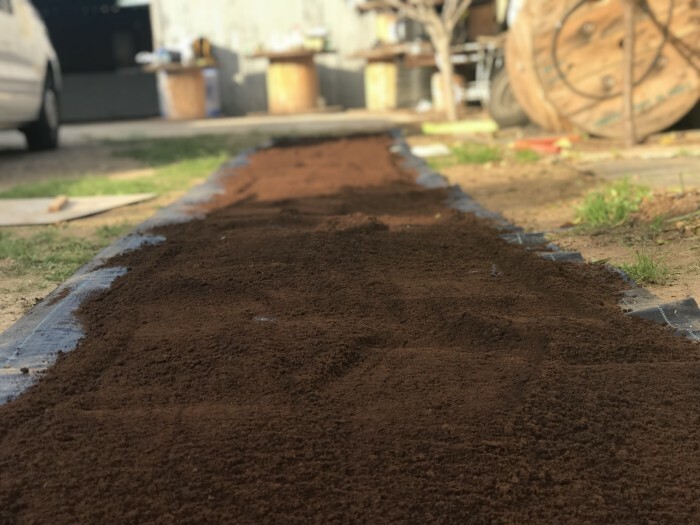 Do you want to be the first person to receive our amazing coffee pellets? You will receive a 5kg bag (when ready) and of course we´ll mention you on our website! Ticket for the concert by our partner and singer Danielle Pellikaan, one drink included. The concert will be held on Saturday the 20th of October around midday in Barcelona (exact location will be communicated closer to date). Watch Danielle´s video in our news section or our social media to see what to expect! Be one of the first 25 people to sign up for our concert and get a discount! And of course we´ll mention you on our website! Let´s color the world! Receive a set of 6 Colors of Acrilic paint, made by the workers of Cooperativa TEB, who work with people with learning disabilities. And of course we´ll mention you on our website! 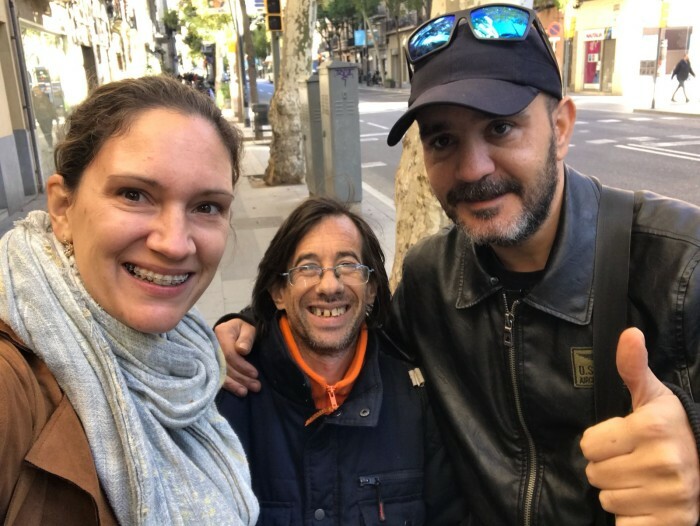 We´re in love with Barcelona, amongst other reasons, because of the beautiful social projects it boasts. 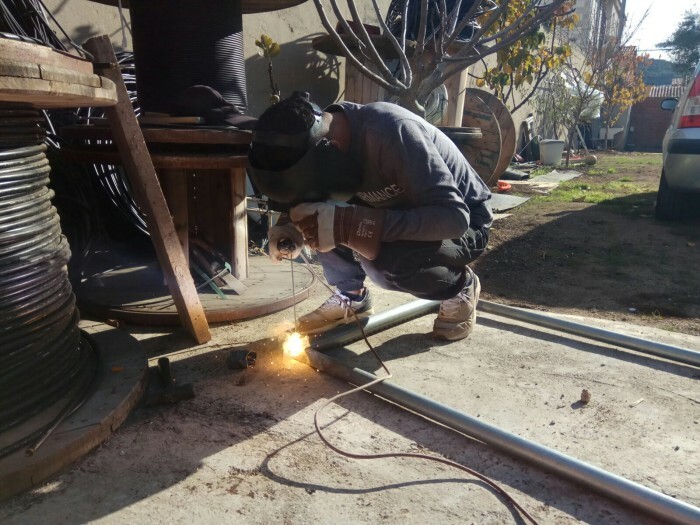 Let us show you 4 of these initiatives and hear first hand how they came to be and see the impact they make on the immigrant communities they work with, and we are sure you will fall in love with them too! And of course we´ll mention you on our website! Music gives us good energy! and that is something we really like here at Up!. Come to our concert and let yourself be swept away by singer Danielle Pellikaan and a spectacular band! And of course we´ll mention you on our website! 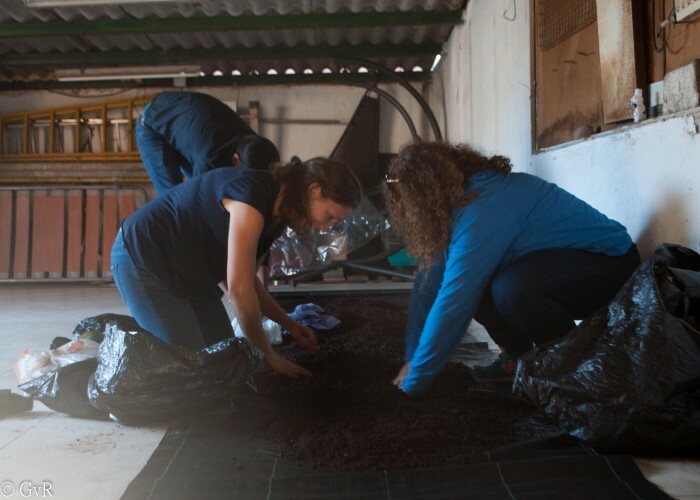 Part of our work is driving around to pick up the coffee waste (in electric vehicles of course!). 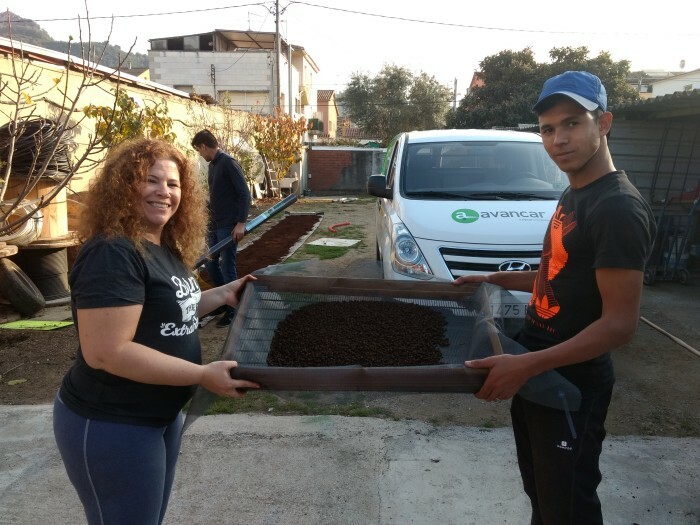 With your donation you are contributing directly to Oussama getting his driving licence, which will allow him to lead the logistics team. And of course we´ll mention you on our website! Come to our concert by our partner and singer Danielle Pellikaan! It will take place on Saturday the 20th of October around midday in Barcelona (exact location will be communicated closer to date). The ticket includes a drink. Watch Danielle´s video in the news items or our social media to get a sense of what to expect! Thanks to your donation we´ll be able to hire one person for Up! Our dream come true! And of course we´ll mention you on our website! To be an Up! sponsor gives lots of good energy! We´ll put your logo on the website and spread the word about your sponsorship on the different social networks! Be one of the first 10 to sign up for our workshop on Circular Economy and get a discount! And we´ll mention you on our website! At Up! 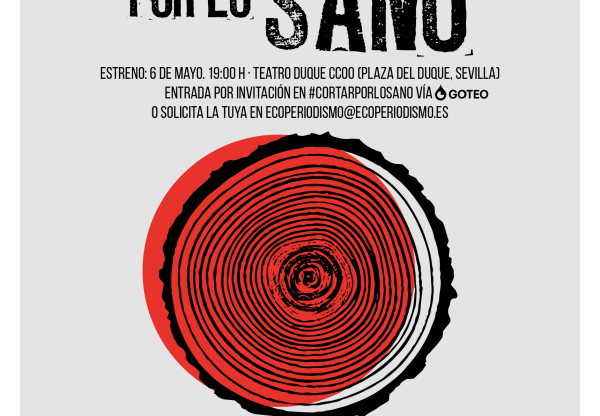 we are all about the Circular Economy and therefore we´d like to offer this personalised workshop on Circular Economy for your team, where we´ll analyse and discover new opportunities in this area. And we'll mention you on our website! At Up! we love what we do and we´d love to share our day to day with you and your team. Come create some energy with this corporate volunteering opportunity. And we´ll mention you on our website! Social Tour - personalised for groups of mas 15 people. Up! is part of an amazing social ecosystem and we´d like to invite you to discover it with us. 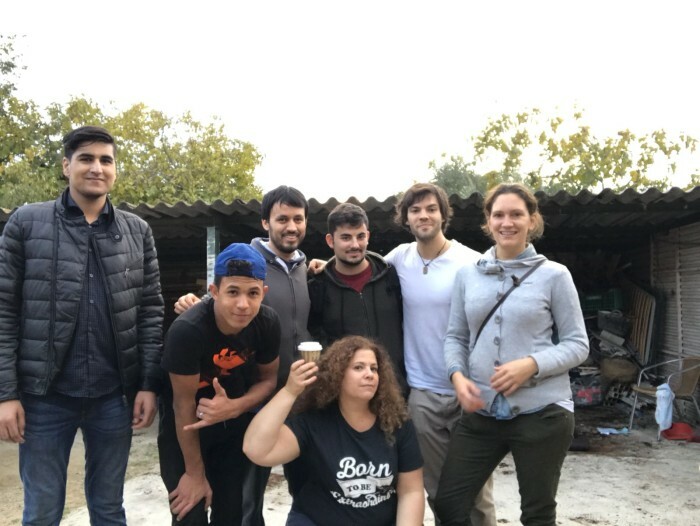 Like to personal social tour we´ll take your group on a tour showcasing amazing social initiatives that work with migrants. But we´d like to go even one step further - to tailor the day to your groups interests and expectations. Let´s design your day over a cup of coffee! And we´ll mention you on our website. Up! 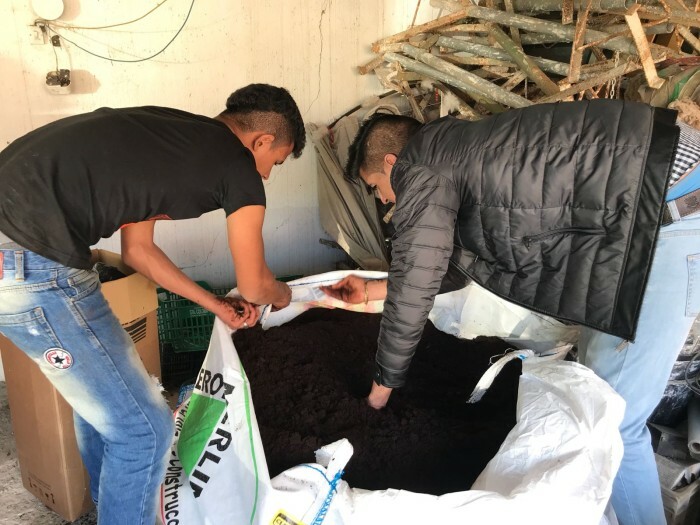 Energía was born with the aim of generating ALTERNATIVE ENERGY from organic waste, promoting the CIRCULAR ECONOMY and creating EMPLOYMENT AND SOCIAL INCLUSION OPPORTUNITIES for vulnerable groups. Its main focus is on young migrants, especially those who arrive in Spain in a situation of destitution. What does it mean? 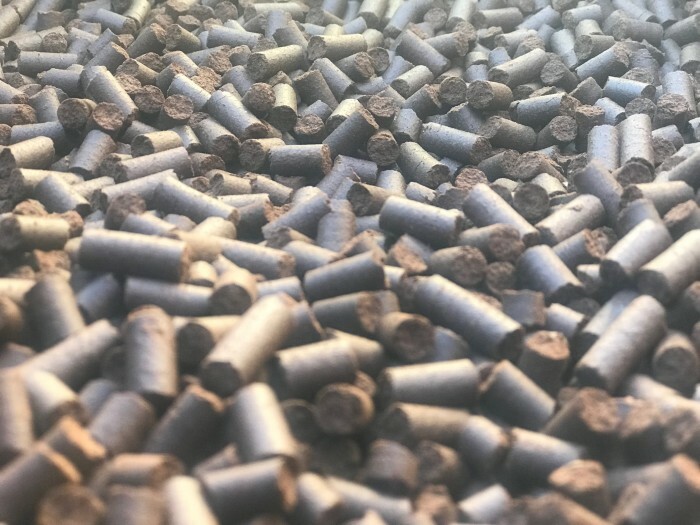 That we produce SOLID BIOFUEL in the form of pellets, little cylinders like those you see in the photos, and which are used as fuel for biomass boilers and heaters. How do we do it? 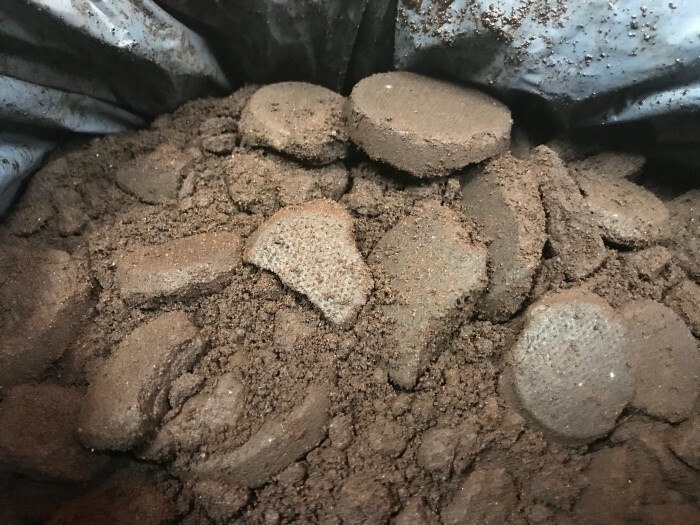 By using COFFEE GROUNDS, which we collect from bars, restaurants, hotels, etc., as the raw material for producing the pellets. This promotes the circular economy, since the waste we generate as a society is collected, transformed and then returned to society in the form of energy. 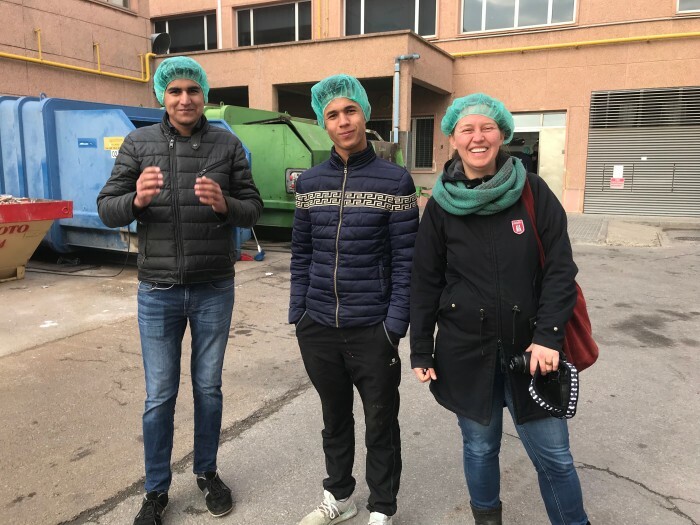 This business model allows us to create EMPLOYMENT AND SOCIAL INCLUSION OPPORTUNITIES for vulnerable groups during all stages of the process, both directly with unaccompanied migrant young people and indirectly through our collaboration with other social entities. 3) To fight against youth unemployment and the risk of social exclusion. 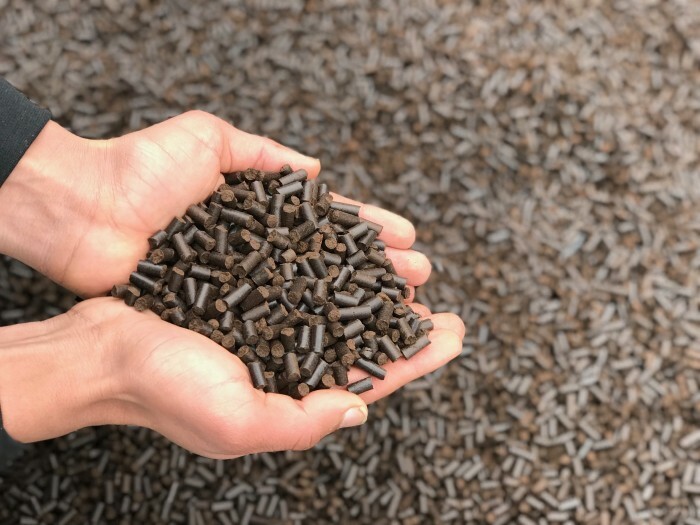 To achieve these objectives we want to be a social company that can handle thousands of tonnes of waste, to generate thousands of tonnes of pellets and to create jobs. And, as the only way is Up!, we're already well on the way to achieving these objectives, but we'll get there quicker with your help. The AIM OF OUR CAMPAIGN is to publicise our project and to obtain the funding we need to continue testing for at least 3 more months. So what do we have to do? 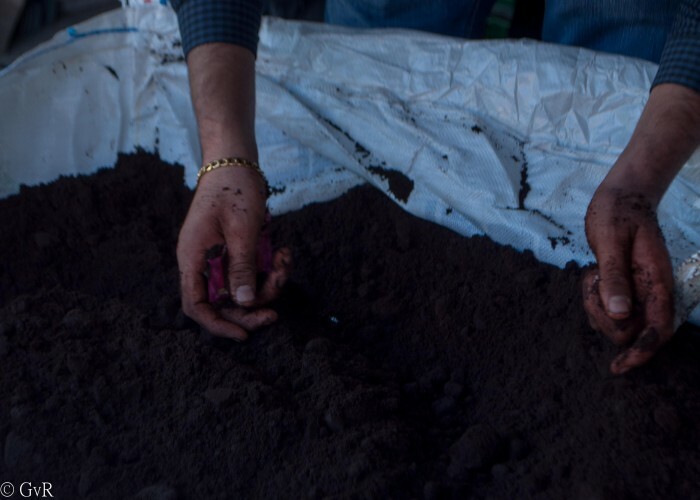 Continue to collect coffee grounds from different points such as cafés, train stations, the airport, hospitals, etc. How? 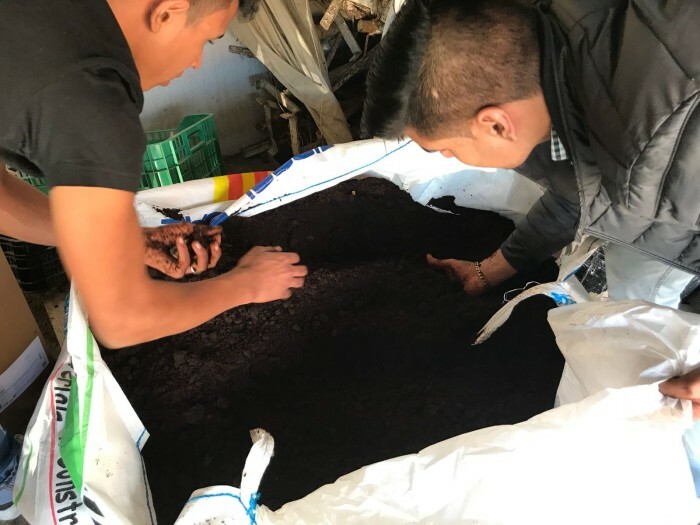 By buying materials such as containers, which we can give to cafés for storing the coffee grounds. By paying for driving lessons, a driving test and driving licence fees which will enable one of our young people to join the collection team. To buy materials like bags, special material for sun-drying the coffee, etc. Set up a grant for young people no longer under guardianship to do an internship with us. Hire a person on the team who can continue to dedicate all their time to Up! To be able to hire a second person in the team for 3 months. Up! Energía grew from an awareness of young migrants who have arrived in our country fleeing from war and famine, with the sole objective of carving out a future for themselves. Migratory processes are never easy, not even when it's one's own choice and you have qualifications, work, languages and a support network. So we think about what happens to these young people who, although they are protected by the State while still minors, when they reach adult age will end up on the street and become institutionally invisible. Therefore, the first step for their social inclusion is to obtain a work contract that would allow them to legalise their situation. Up| Energía wants to provide these young people with a channel through which they can enter society. And what better way to do this than allow them to participate in the creation of a clean energy solution and the proper management of waste that would otherwise end up in dumpsites and pollute our environment? Up! 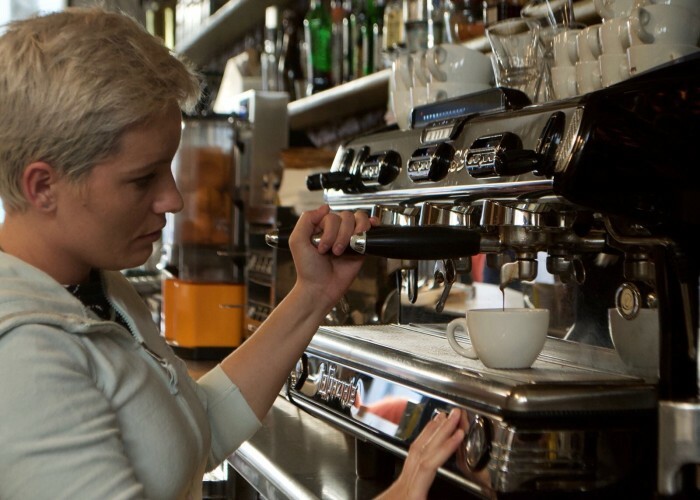 Energía is based on cooperation with other social entities - such as the TEB cooperative group and EICASCANTIC, private companies Productos del Café, Areas and ISS, and universities such as the UPC (Polytechnic University of Catalonia). 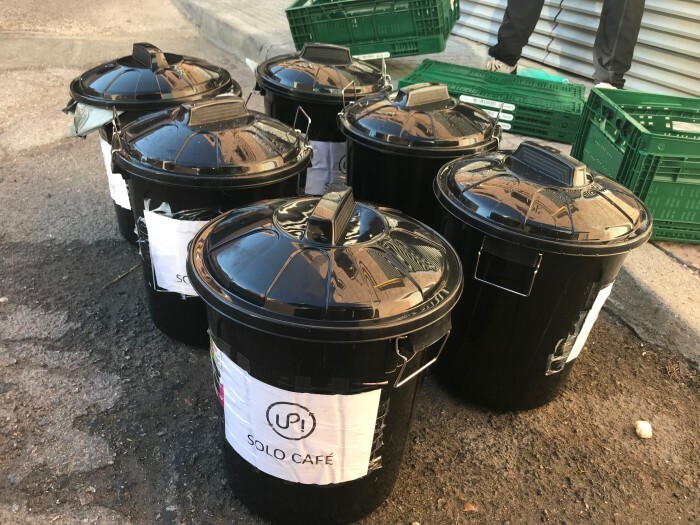 Through this collaboration, we've already collected 5 tonnes of waste, involving more than 80 establishments in the neighbourhoods of Sants and Gracia, and have incorporated two young people directly and 4 people indirectly. Imagine a network of clean energy producers that minimise CO2 emissions generated by poorly managed waste and who promote social inclusion and employment for vulnerable groups? We do, and that's why we're working so that, in the future, we can replicate Up! in other cities and together we can generate clean ENERGY, a SOCIAL energy. 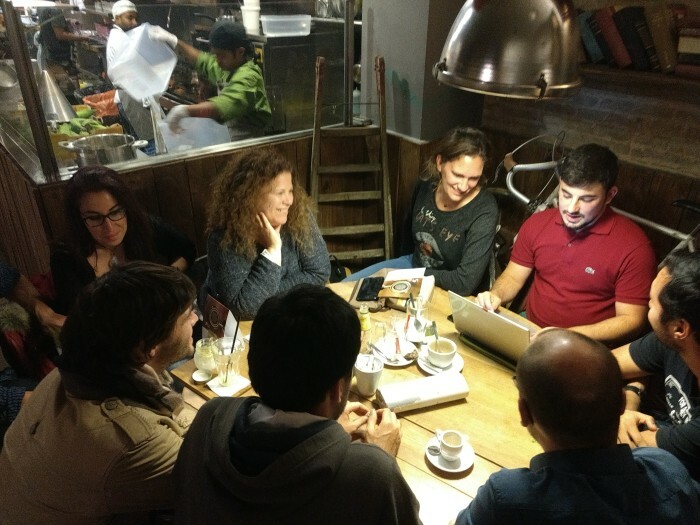 We're a multidisciplinary team, in which everyone contributes their knowledge and develops their abilities. Some of us have substantial commercial experience in multinational companies, leading teams and developing growth strategies; others come from the social sector, where they have developed highly successful social projects or have worked in the area of renewable energies; and some are at university, studying different fields of engineering. And, of course, let's not forget our young people, no longer under guardianship, who are embarking upon a new journey of learning and who bring tenacity and a spirit of self-improvement. 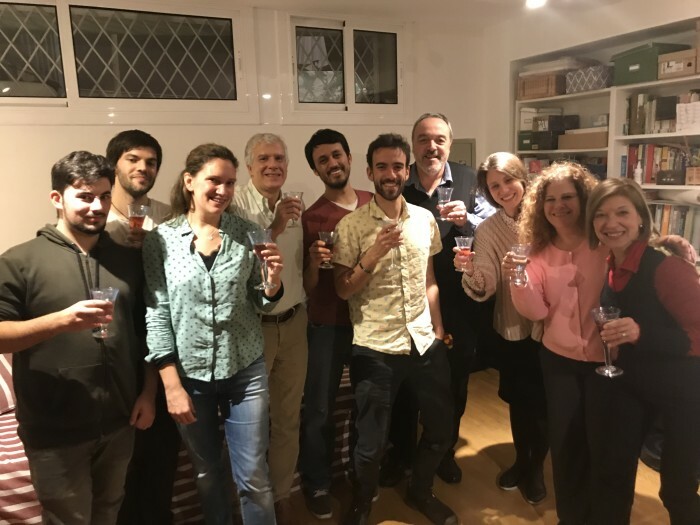 We are fortunate to have excellent mentors to guide us and to help resolve our doubts, as well as an extensive group of volunteers who dedicate their time and experience so that Up! can continue to grow. 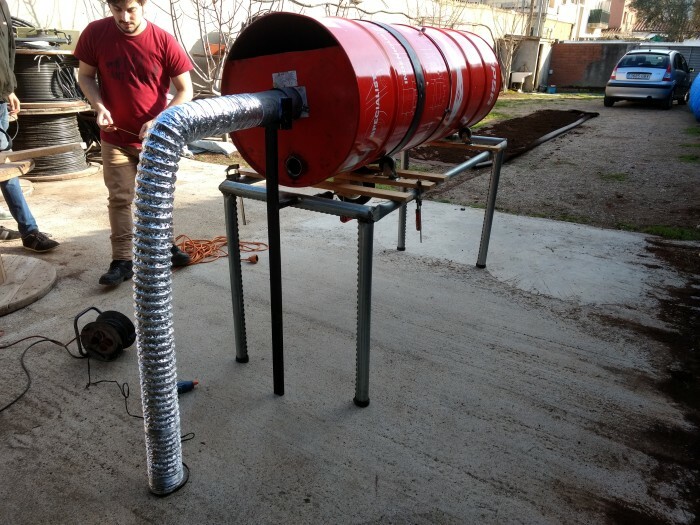 To generate ALTERNATIVE ENERGY from organic waste, promoting the CIRCULAR ECONOMY and creating EMPLOYMENT AND SOCIAL INCLUSION OPPORTUNITIES for vulnerable groups, with a focus on migrant young people, especially those who arrive in Spain in a situation of destitution.